What is the main goal of Twin Tree Healing? Our main goal is to help people live happier lives, to help them learn to live from a place of love, and hopefully encourage others to do the same. We are on the journey with you and our passion is to share information, resources, and modalities that can be incorporated into your daily lives, that will reduce stress and help create the life you have always dreamt of. From this vision we have created a space and a place for people to come to – through our YouTube Channel (The Twin Tree Channel) with a new video a week, our workshops, and our social media outlets (Facebook, Twitter, Instagram, Pinterest, and more!) to find inspiration, positivity, and LOVE. We want people to realize that they are not alone and have a place that is safe to be oneself and find ways of living a happier and healthier life – filled with love! How did you ladies get started? We have always been interested in spirit, the ‘unseen’ force of life that connects us all, and makes the world quite magical. But TTH truly started a little over seven years ago after we were attuned in Reiki I, II, and III/Master. We came to realize, through our attunements and training, that life was even more magical that we had originally thought, and wanted to share the magic and love with everyone who resonated with it! Explain what Reiki is and how one can benefit from it. Reiki is a non-intrusive all-loving energy healing. It’s similar to the concept of ‘laying of hands,’ but when facilitating Reiki you have the choice of touch or not. Reiki is a healing modality that works with the energy that makes up our world, the energy that swirls and twirls around us, and through it’s use research is finding that Reiki reduces pain and the use of medication in individuals struggling with everything from Depression to Cancer. Reiki is now being utilized in hospitals internationally – it has been truly exciting to see it’s growth over the past seven years. More and more people are beginning to know what it is – and the incredible benefits it provides. We offer a variety of fun workshops - everything from ‘Manifesting Your Dreams’ to ‘Getting to know Your Spirit Guides.’ But all of our them fall under the umbrella of spirituality, focused on creating a more happy, magical, and love-filled life. We love doing workshops, in the we create a safe space for people to come and let-go of the world, and all of it’s problems, and know that they will not be judged while learning these new and exciting spiritual modalities! Tell us about your Acts of Kindness and some specific occasions and events you’ve done with them. Acts of Kindness is an incredibly important aspect of TTH because it is a great way and easy way to get people out of a bad mood and feeling more love within themselves, and in turn, others. We have two Acts of Kindness’s occasions/events: ‘Love Notes’ (Love Notes Video) and ‘Honk for Love’ (Honk for Love video). Love Notes was created shortly after the tragedies of Sandy Hook Elementary in Newtown, Connecticut. We saw that people really need connection with each other and a source of hope, so we made little cards, the size of business cards, with sayings like, “Believe In Your Dreams” and “You Are Loveable Because You Exist,” and we would leave them everywhere for the ‘right’ person to discover within their busy day. 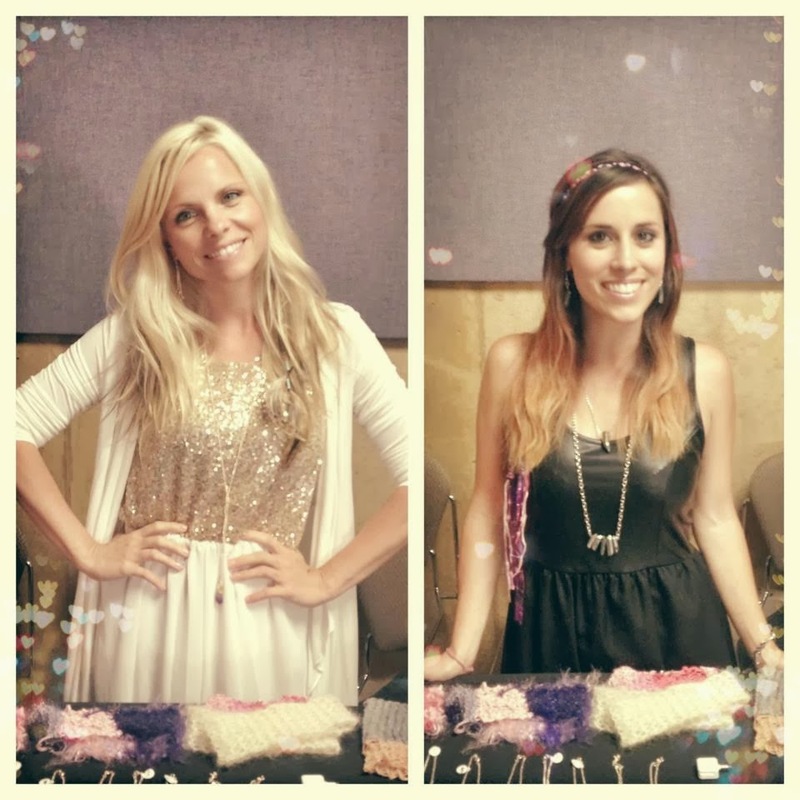 It was such a hit that our community got involved and we began having “A Weekend of Love Notes” every month. Honk for Love took it to the next level, we thought ‘How could we reach more people with the message of love and hope?’ So we made large signs that said “Honk for Love” and got friends together on the side of the road in our community and within minutes all cars passing were honking for love! It is one of the most fun things we have ever done. 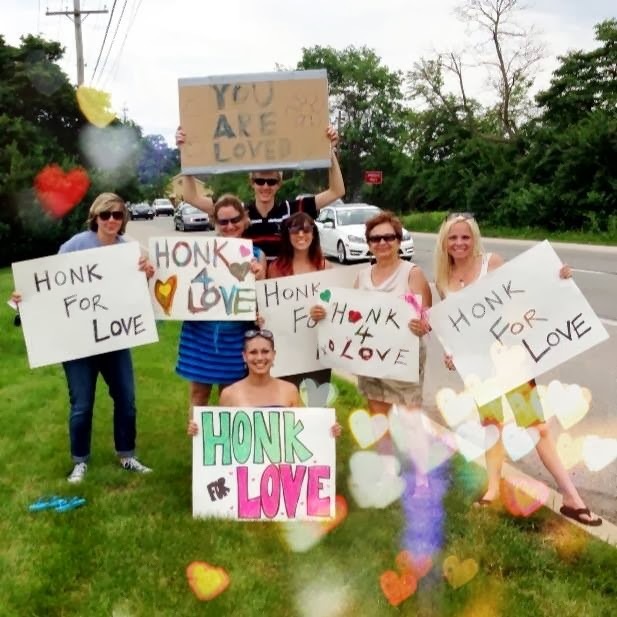 We have ‘Honk for Love’ events regularly, and you can find out when the next one will be on any of our Social Media pages or at Twintreehealing.com. It is TOO much fun not to join in, and we recommend everyone try it! What are some pieces of advice you can give to others to live a happier and healthier life, based on how you girls live yours? § Stop judging yourself, or at least make the commitment to try. § Surround yourself with people and things that lift you up, and if they don’t, walk away. § Create healthy boundaries for yourself, from a loving place, let people know what is acceptable and what is not, in regards to family, friends, and love relations. § Get to know who you are, and love it and accept it - for you are beautiful! § Get to know what makes you light up. When you are good to yourself and you feed what fuels you and what stirs your passions, you are even better to everyone else. § And let us say that we are on this journey with you, by all means we do not have everything figured out – but we are obsessively on the search to find the things that bring more happiness to our lives, and then share it with our TTH community. That’s truly why we started our YouTube Channel. We want people to know that they are never alone, and that TTH is a safe space without judgment and filled with love, and we are walking side-by-side on this journey with you!